A Department of Health-funded campaign called ‘Time to Change’ has created an ambitious five-year plan to encourage men to have their mates’ backs when it comes to their mental health. Run by charities Mind and Rethink Mental Illness, the ‘Time to Change’ campaign was launched with a video showing three guys stepping up like cornermen in a boxing match, showing their mate he's got their support. It highlights the huge part men can play in allowing their friends to address mental health concerns. Don’t worry – you won’t actually need to step into the ring. The biggest support you can give a friend who’s struggling with mental health issues is your time. The campaign wants men to pay attention to their friends and notice when something’s not quite right. 1. Talking: don’t be afraid to put it out on the table, and ask straight up how your friend is getting on. 2. Listening: hear what they have to say with an open mind. No judgements here. 3. Honesty: leave awkwardness at the door – be yourself around them. Talking openly is just a new bonus level. Out of a staggering 6,188 suicides recorded in the UK in 2015, three in four were males. Per 100,000 people in the UK and ROI, 16.8 men will kill themselves. With suicide now being the largest cause of death in British men under 35, as a society we urgently need to support men’s mental health. Research has found that 66 percent of men would not talk openly about their feelings, and of most concern, 31 percent of men said they would feel embarrassed about reaching out for help with their mental health. Campaigns such as 'Time to Change' break down the stigma around men’s mental health, and make discussing our mental state and emotions part of everyday life. Through encouraging ‘normality’ around the subject, removing the awkwardness and ensuring that everyone in society feels the strength of a supportive network, we can hope that these shocking suicide statistics will be dealt a body-blow. So, for all men out there, if you’d like to step up and help a friend who may be dealing with a mental health issue, now is the time to get involved. Make sure you’re there when he needs you most. Fight his corner when it comes to mental health support, and help him to deliver a KO to public stigma. Visit time-to-change.org.uk for more information. 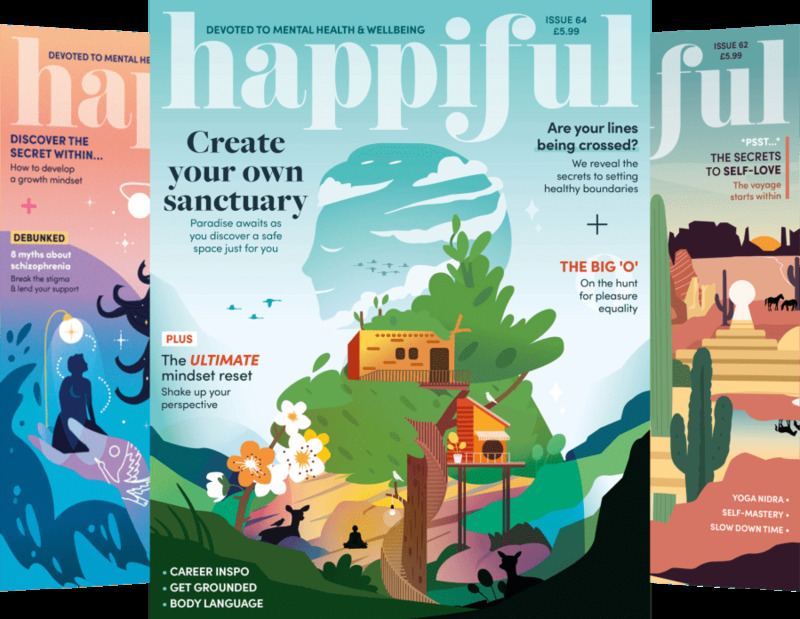 The next issue of happiful will include a special feature on men's mental health, focusing in particular on depression and suicide.